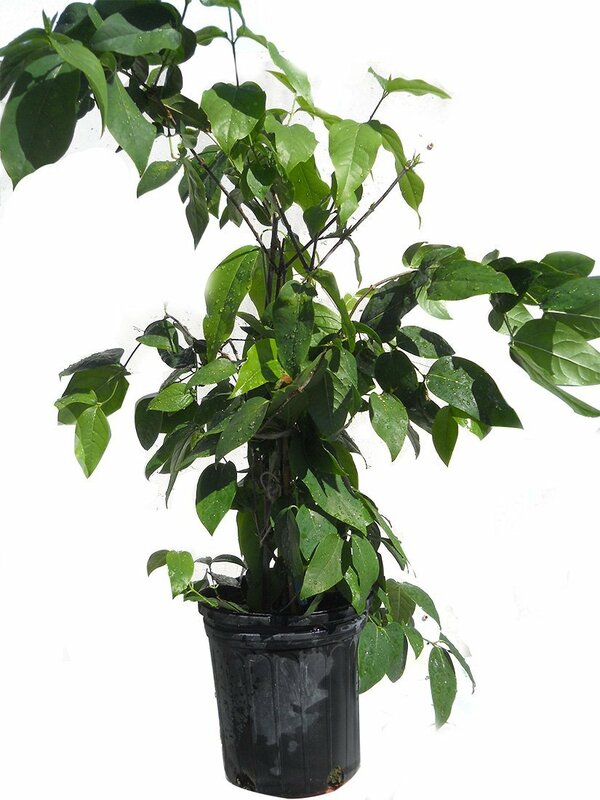 The age of the plant is 4 years and the height is 4 Feet. When You Receive Your Order After you receive your order add more soil to the pot and fully water. If some leaves have fallen off it is because they dried up during shipping. The plant is still healthy and will recover after watering. When winter comes the leaves will fall. This behavior is normal for the plant and leaves will return in the spring. Plant grows in USDA Zones 6 , 7 , 8 & 9 . Our plant was grown by seed and will need some more years for the flowers to open. This plant will be only available after April, due to leaves falling off. Actual plant below.